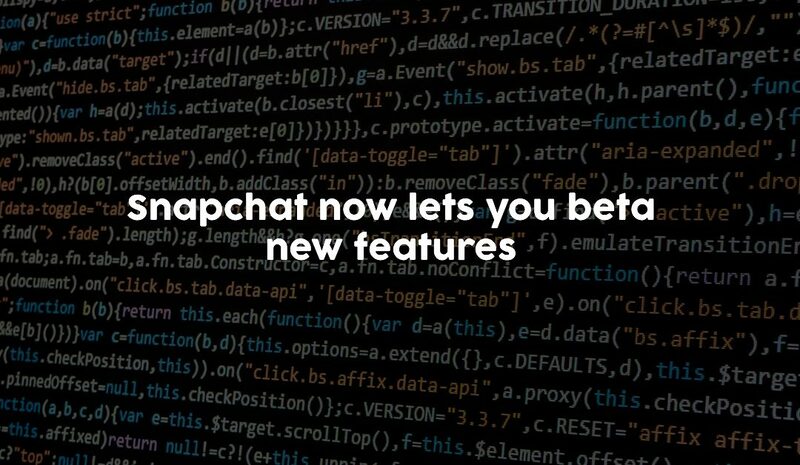 Did you know that you can get Snapchat beta features before your friends? You can now test out new Snapchat features before your friends, with a free beta program the company offers. You don’t need to be an employee of Snap; any person can sign up to get the latest updates before the majority of other Snapchat users. However, there is a small catch– the beta features are only available for Android phones. Sign up for Snapchat’s beta on the Google Play Store. Delete your existing Snapchat app from your phone– and then redownload it. That’s it! You should now see “Snapchat Beta” in your Snapchat app settings. Because this is a beta release of the software, Snapchat warns that it can sometimes be unstable. If you download the beta version of Snapchat, you shouldn’t be surprised if it crashes every-so-often.